'Tis the season to spread joy! 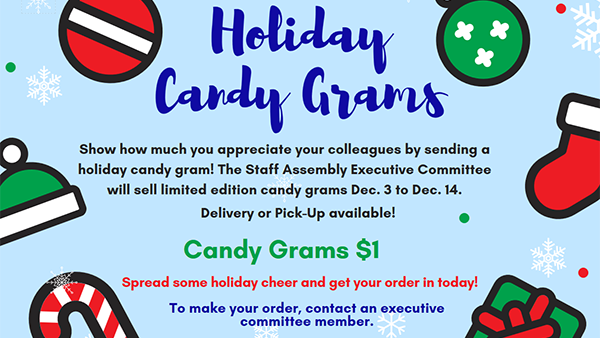 The Staff Assembly Executive Committee (SAEC) is selling limited edition holiday candy grams Dec. 3 - 14. Each candy gram, in the form of a candy cane, can be personalized with a message and delivered to your staff/faculty and/or colleague(s) of your choice. Each candy gram is $1 with cash or TOE payment accepted. Feel free to purchase just a few for your colleagues or some for your whole staff and/or faculty! SAEC members will gladly deliver the candy grams the week of Dec. 17. 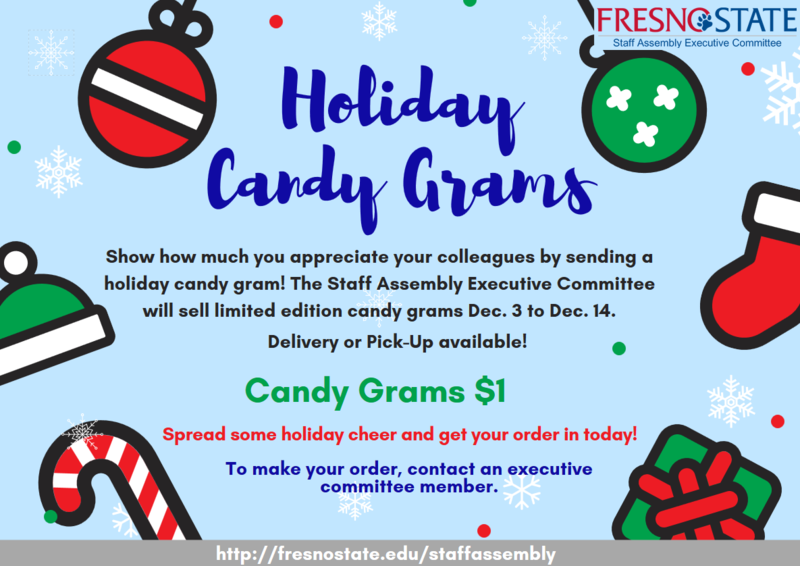 For additional information or to purchase candy grams, please contact a SAEC member or Melissa Tav at mtav@csufresno.edu by Wednesday, Dec. 12.